Gift Recipes for the Holidays!! The recipes below are great to give as gifts or to bring to a party during the holidays! This is a lovely condiment for curry dishes and also serves as a great holiday gift! Have ready a large canning pot with water and bring to a boil. Sterilize the utensils you will use including canning jars and lids. You can use any size canning jars you like, yielding 12 cups. In a large saucepan, bring the sugar, vinegar, lime juice, cloves, cardamom, cayenne, and salt to a boil, then lower heat and simmer for 30 minutes. Meanwhile, peel mangoes and remove pulp from the seed. Dice pulp and combine with the minced ginger, onion, raisins, and cranberries. Add these to the vinegar solution and bring to a boil once more. Lower heat and simmer for another 5 minutes. As soon as the chutney is done simmering, remove the sterilized jars and set them on the counter. 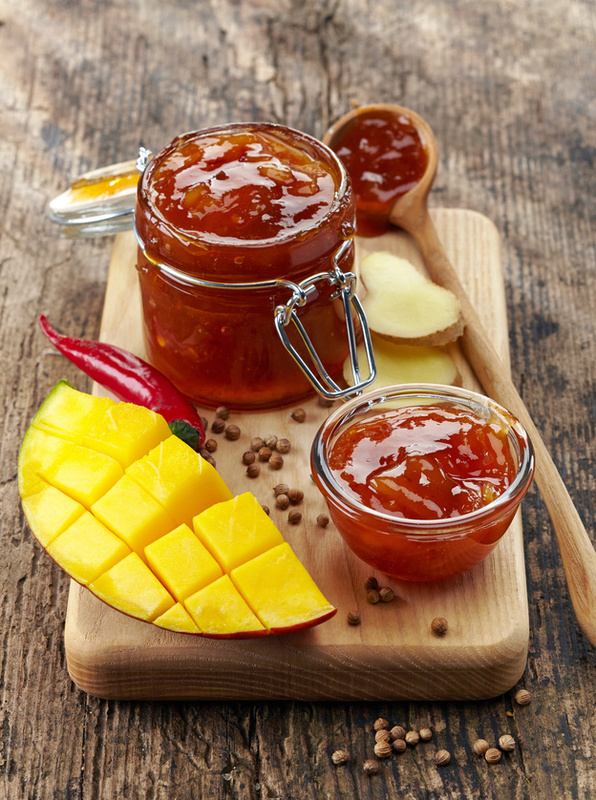 Carefully fill each jar with the chutney allowing only about 1/4 to 1/2 inch of space from the rim. To ensure rims are perfectly clean, wipe them with a wet paper towel (dipped in the boiling water), then immediately seal the jars with the new sterilize canning lids and hand tighten. Place the filled jars in a boiling water bath for 5 minutes (be sure the water is at a rolling boil and that you have each jar covered with at least 2 inches of water from the top of the jar to the surface). Remove jars from the water and allow to cool. Once the jars have cooled, check each lid to make sure it is sealed properly. The jar should have created a vacuum and the lid should be flat. You are now ready to label and date your jars. 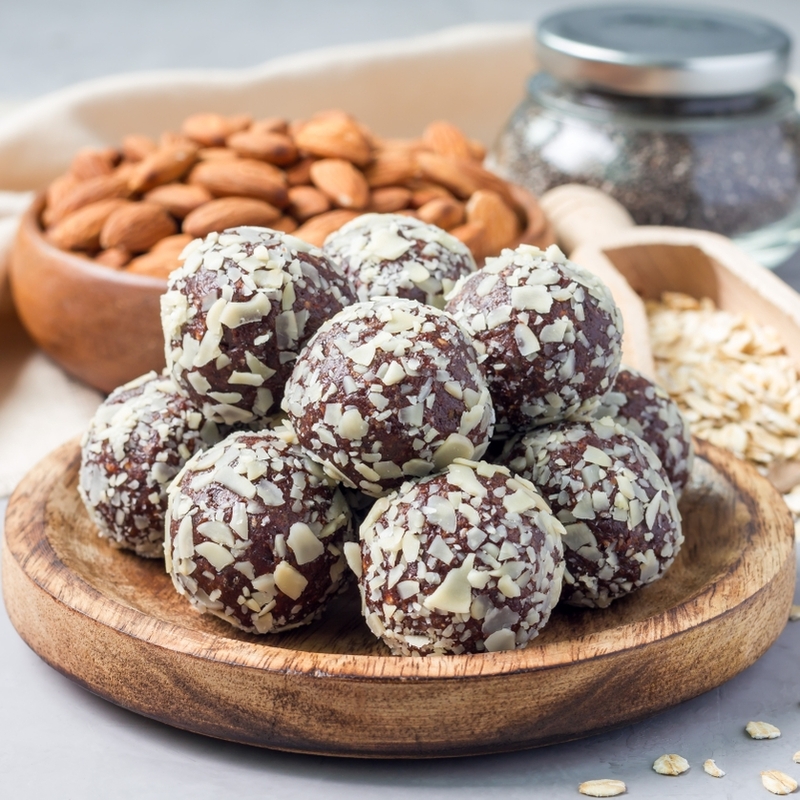 These fruit-nut balls are fun to make and are great to bring to a party. Vary the dried fruit and nuts as you like. In a food processor, process 3/5 cup of almonds to make 1/2 cup of almond flour, or buy prepared almond flour. Add dried cherries and figs and process again. Stir in sugar, lemon juice, and rum. On a cookie sheet, spread out chopped hazelnuts. Roll fruit-nut balls in chopped hazelnuts, forming a delicate nut covering. Freeze or refrigerate fruit-nut balls until ready to serve. Is there any nutrient values? I’m starting keto. Thank you. I think that it is very difficult to do ketosis properly, and 90% of people who try it end of grossly nutritionally deficient, or in a state of acidosis, which is also unhealthy. For people following a ketosis plan, you should be eating at least 9+ servings of green leafy vegetables daily. And any fatty dairy or meat consumed needs to be organically raised, and grass fed.